'General Hospital' Spoilers: Victor Cassadine Returns - Will Nathan's Dad Finally Be Revealed As Valentin Cassadine, Arch Villain? ‘General Hospital’ Spoilers: Victor Cassadine Returns – Will Nathan’s Dad Finally Be Revealed As Valentin Cassadine, Arch Villain? 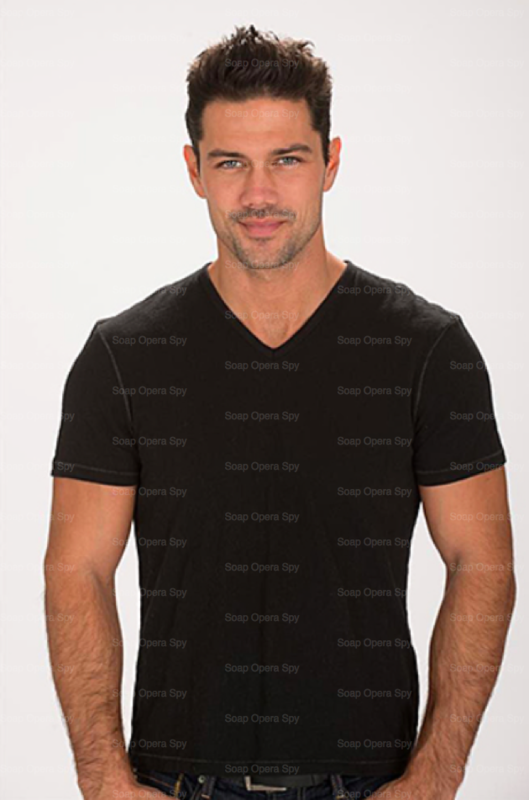 Since the character of Nathan West [Ryan Paevey] arrived on the General Hospital scene there has been a lot of speculation about who Nathan’s father is. One thing we know for sure is Nathan’s mother is Doctor Liesl Obrecht [Kathleen Gati]. Once Nathan found out who his mother was, Dr. Obrecht told Nathan that is father was Victor Cassadine, [Thaao Penghlis] but I’m not sure that is true. What if Nathan’s father was Valentin Cassadine, let me give you some history on Valentin. Valentin Cassadine is a dark character that the General Hospital writers first mentioned in 2009. They wanted to bring Valentin to the General Hospital landscape in 2013. The character was never formally cast, but All My Children alums, Vincent Irizarry (Ex-David Hayward) and Matt Borlenghi [Ex-Brian Bodine] were thrown out there as possibly candidates for the role in 2013. However at the time the writers opted to put Valentin Cassadine on the back-burner and keep James “Franco” [Roger Howarth] as the main villain. Valentin was shunned from childhood by his father Mikkos. His step-siblings, Alexis [Nancy Grahn], Stavros [Robert Kelker Kelly] and Stefan [Stephan Nichols] have never met him. Valentin Cassadine has made it his mission to wreak havoc on the Cassadines, he vowed he would bring them all down. Every one of the Cassadine family members fear him. Helena Cassadine who is thought to be the most evil Cassadine has said Valentin is more treacherous than any other Cassadine, can you imagine? This brings me to the parentage of Detective Nathan West, Liesl has worked hard to keep Nathan’s linage a secret his whole life. Nathan just recently found out Madeline Reeves [Donna Mills] was not his real mother, that he was taken from infancy and raised by Liesl’s sister Madeline. Once it was revealed that Liesl was Nathan’s mother, Liesl claimed Victor Casasdine was Nathan’s father. It made sense that Victor was Nathan’s father, after all Victor had adored Dr. Obrecht for years and they did have brief love affair. Victor was ecstatic over the revelation he was a Dad and ordered a DNA test to make sure Liesl was telling the truth. The DNA results came back during a chaotic time, Crichton-Clark Clinic where Victor was working exploded when Victor and Leisel were in his office. Victor opened the DNA results and read that Nathan was not his son. Leisl tried to explain that Nathan’s father was the most treacherous, evil human-being on this earth (doesn’t that sound like Valentin) and Nathan could never know the truth. To keep the truth quiet Liesl shot Victor panicking that he would reveal the truth, that he was not Nathan’s father. Liesl left Victor in the fiery building to die…but did he die? Liesl seems to always be attracted to dark, sinister men. The list includes Cesar Faison [Anders Hove] whom she had a daughter Britta [Kelly Theibaud] with, and Victor Cassadine. Dr. Obrecht was the black sheep of her own family she has always been in her sister, “the perfect,” Madeline’s shadows. Valentin was the black sheep of his family, so did these two misfits get together? One thing is very clear Liesl fears for the safety of Nathan if his father is ever revealed. The queen of evil shudders at the mere mention of Valentin Cassadine. Supposedly Valentin is dead but we all know no one ever stays dead in Port Charles. Dead on GH just means dead for now. A villain more evil than all of the Cassadines and Nathan’s father? That would be something to watch! 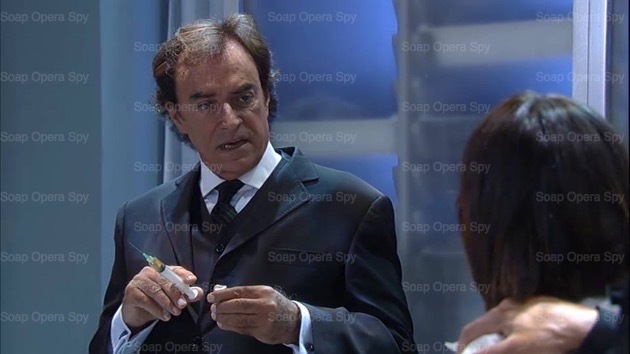 Rumor has it Thaao Penghlis will be headed back to GH to reprise his role for a brief visit very soon. Hopefully to reopen that “who’s the daddy” story line and put the fear of God back into Dr. Leisl Obrecht, because after all she shot Victor to stop him from telling the truth about Nathan’s paternity and then left him for dead in a burning building. Something tells me Victor is going to want revenge. What do you think SOSers, is Valentin Cassadine the real Daddy of Detective Nathan West? What is Victor going to do to Liesl when he gets back? Enter the poll below and let us know what you are thinking? Who is Nathan West’s Daddy? ‘General Hospital’ Poll: Brenda Barrett and Carly Corinthos Battle it Out For Sonny – Who Should Our Favorite Mobster Choose? My mistake… Temporary dyslexia, I read it as Prince Nikolai Stavros Mikkosovich Cassadine…. Sounds great and can’t wait! Why not go one step further and cast the sorely Erica Slezak, ex-Vicki on OLTL, as Olympia Cassadine, the good and pure Cassadine to come to Port Charles? That would be great! I would just love to see that!